Practicing regular oral care dramatically reduces your risk of developing tooth decay and gum disease. However, did you know it can lower your risk of developing pancreatic cancer as well? According to recent research coming out of Finland and Sweden, researchers have for the first time ever found the connection between periodontitis and the onset of cancer. To learn more about the study and what steps to take to prevent pancreatic cancer, keep reading this post from your dentist in Longmont. Researchers from the University of Helsinki, the Helsinki University Hospital in Finland, and the Karolinska Institute in Sweden have been investigating the role of bacteria that causes periodontitis. Periodontitis is a condition in which the tissue surrounding teeth become inflamed, leading to tooth loss. The study has proven the existence of a mechanism through which bacteria associated with periodontitis also has an effect on the onset of cancer. In the study, researchers proved that the primary virulence factor of the bacteria Treponema denticola (Td), which is associated with periodontitis, also occurs in malignant tumors of the gastrointestinal tract. These tumors commonly occur in patients diagnosed with pancreatic cancer. The enzyme itself, known as Td-CTLP proteinase, has the ability to activate enzymes used by cancer cells to invade healthy tissue. The enzyme also reduces the effectiveness of the immune system by inactivating molecules known to inhibit enzymes. She goes on to note that prevention and early diagnosis of periodontitis are both very important for patients’ oral health and overall wellbeing. “In the long run, this is extremely cost-effective for society” Sorsa states. This study just proves how important it is to visit your dentist in Longmont not only to protect your oral health, but your overall health as well. 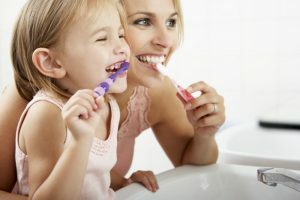 For years, dentists and other medical professionals have been reiterating the connection oral health has to overall health. For example, patients with gum disease are also at higher risk of heart disease and stroke, so it’s not surprising to hear their risk of pancreatic cancer goes up as well when periodontitis develops. The difference is now, we have evidence that proves it. Want to learn more ways to prevent gum disease and practice good oral hygiene? Schedule an appointment with your Longmont dentist today! Dr. Dan J. Maurer earned his Doctor of Dental Surgery degree from the University of Colorado School of Dental Medicine. To learn more about his practice, contact him at (303) 776-2214 or visit his website.